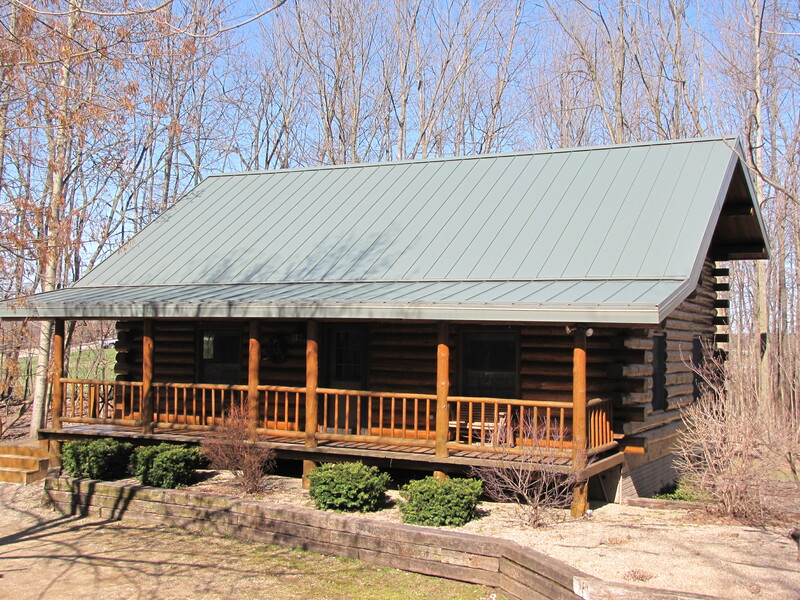 Log Houses look very nice with metal roofs. 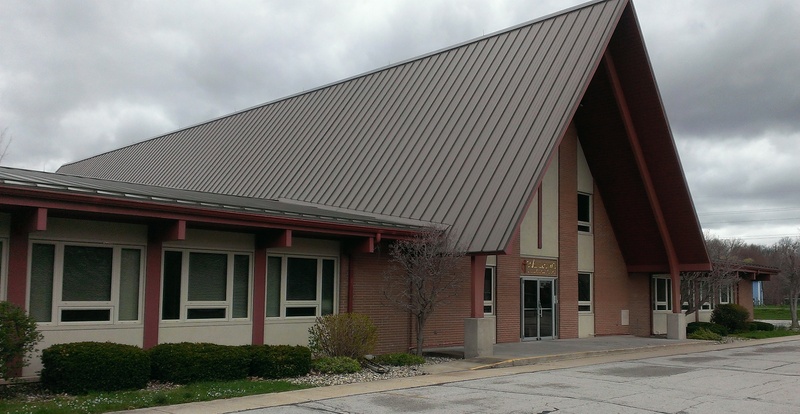 This has MSR 100 16″ panels with the Aged Copper color on it. 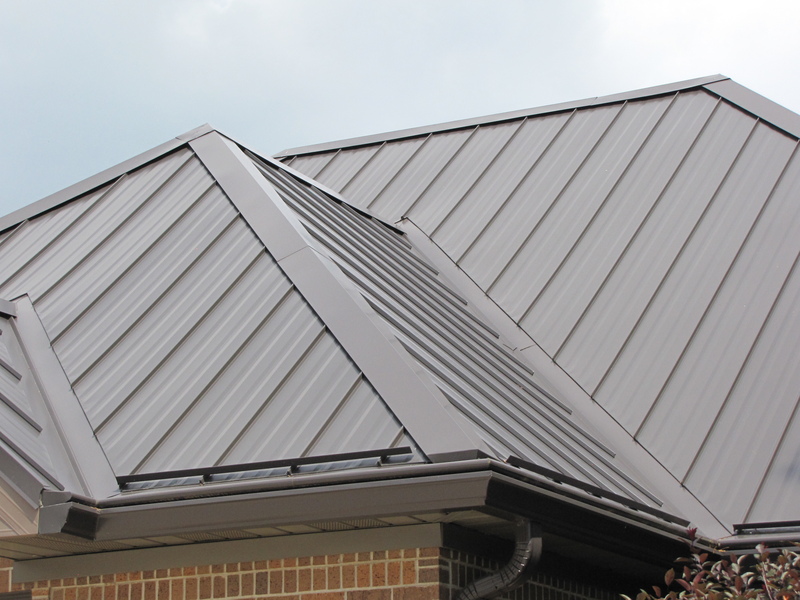 Different aspects of a metal roof. 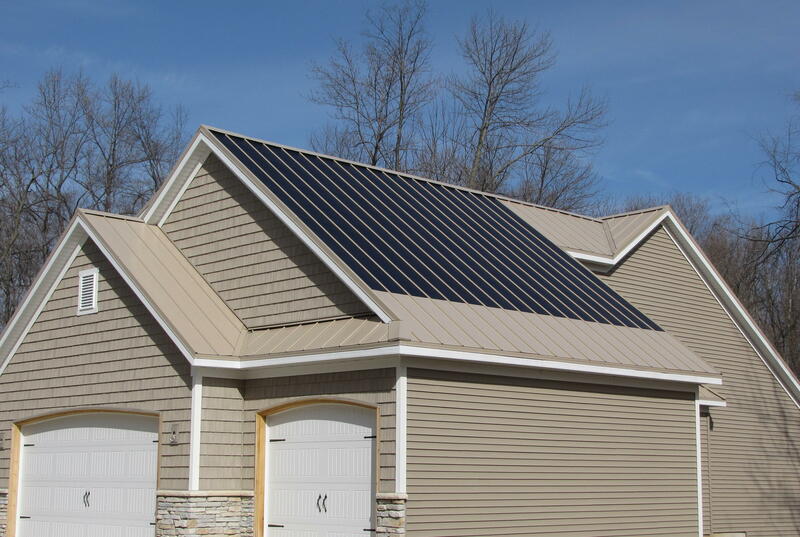 You can do many different aspects with a metal roof – pictured is solar panels that was installed by a contractor on a metal roof we installed. 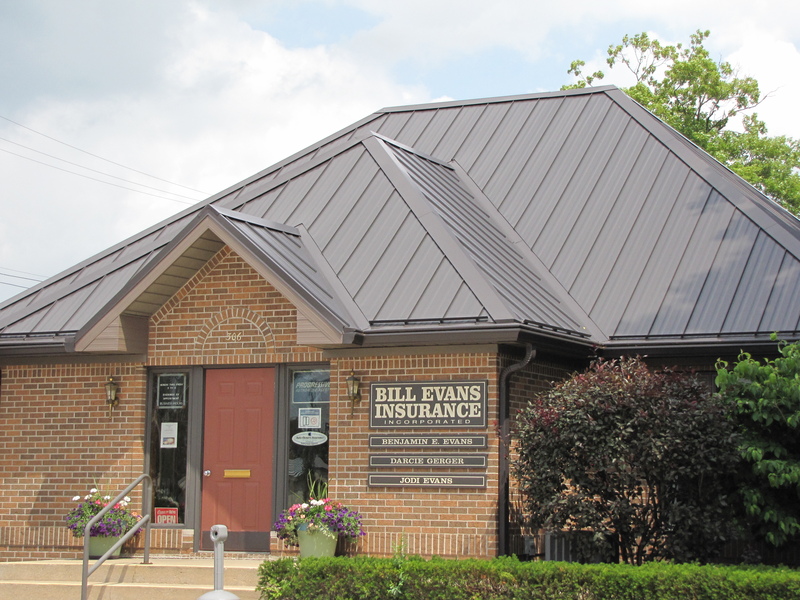 Color of metal roof is Sierra Tan.